So in case you didn't know this about me already, I LOVE CURLY HAIR. Seriously, the curlier the better. So of course the Sarah Potempa Beachwaver S1 is a must-have tool for my beauty arsenal. 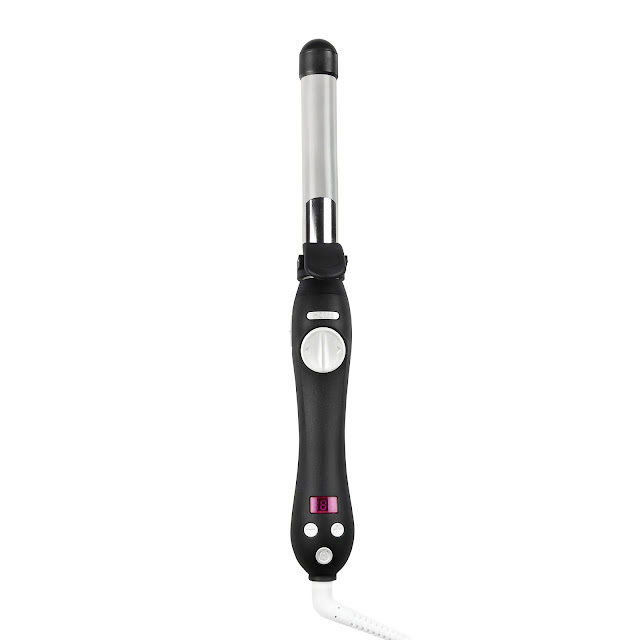 This ceramic, rotating curling iron creates three different styles -- defined curls, loose beachy waves and glam waves. It has a digital temperature clock, a temperature range from 290°- 410°, a 5.5" ceramic rod, a speed switch with Fast/Slow rotation options and even a home button to reset the clamp. Seriously, what's not to love? And the best part is, one person has the chance to win this iron! This giveaway has a retail value of 129. And, since I am on LA time and a little behind at the start of the week, I'm giving you an extra day to enter -- so you have until Wednesday, August 19 at midnight! To enter, use the Rafflecopter widget below. Good luck! My hair is naturally curly, but I still curl it at least 2x a week to get defined "hollywood hair" (as my friends call it). This would be great! Around 7-8 times a month. Even naturally curly girls need a curl boost. I curl mine 4-5x/week. I curl my hair several times a week in the winter. I leave it alone in the summer. I curl my hair about 3 times a week. I curl my hair 3-4 times per week. Thank you for the giveaway! I curl my hair once or twice a month. I curl my hair a few times a week. I only do every once and a while, now that I have shorter hair. I curl my hair about 5 times a week. Every 2 to 3 days. I curl my hair 2 to 3 times a week depending on what's going on. I would love to have this. Thanks so much. no i don't. cuz i don't have a curler, i try to do it with my straightener through! Every day because I need the body. I curly my hair at least once a week!